Bypass your computer and print directly from your phone. 1. 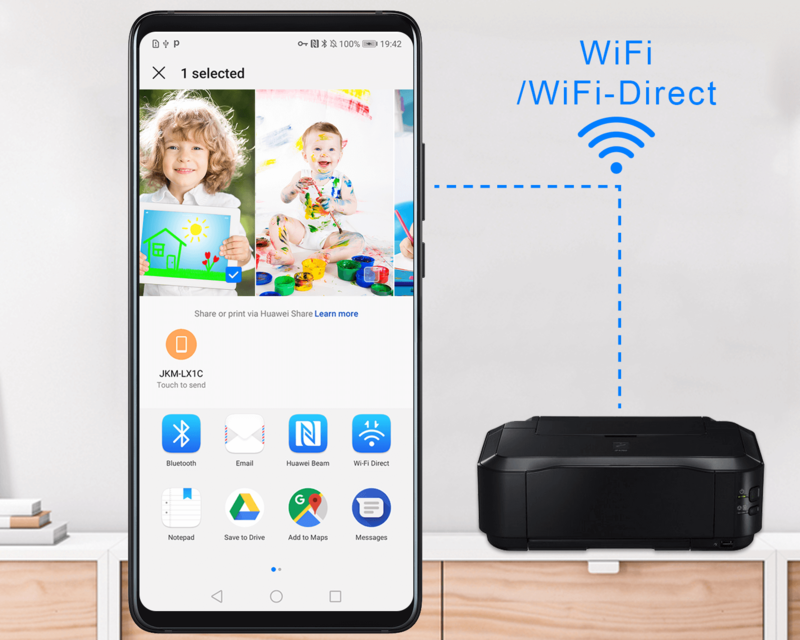 Make sure your phone and printer are connected to the same network (or connect the devices to each other with Wi-Fi Direct). 2. On your phone, find the image or PDF you want to print, and touch Share > Huawei Share. 3. Wait for your printer to be found, select it, choose your print settings, and touch PRINT.